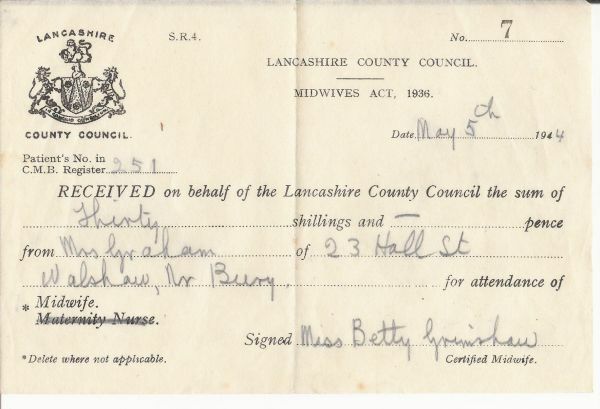 This is the midwife's receipt that I told you about Maisie. I was way out with the cost! It was thirty shillings! That must have been a week's wage for my dad. Such lovely keepsakes you have there our June. What wonderful paper treasures to have, June - I really enjoy viewing old documents and these are keepers that's for sure! My dad was a hoarder and we came across lots of things he saved. Good for your Dad, June! The one thing that moved me most, when we cleared out his house, was that he'd kept a few of my favourite toys and one was a little doll that I'd completely forgotten about. It is tiny with moving arms and legs (amazing that the rubber band inside is still intact) and now she sits on a shelf in our bedroom. How lovely to find the doll June, a treasure indeed. I remember all those things when I was growing up. My mum used to swap her clothing coupons for dresses that a neighbours daughter had grown out of for me. She also used to swap her sugar for tea as none of us took sugar in our tea. 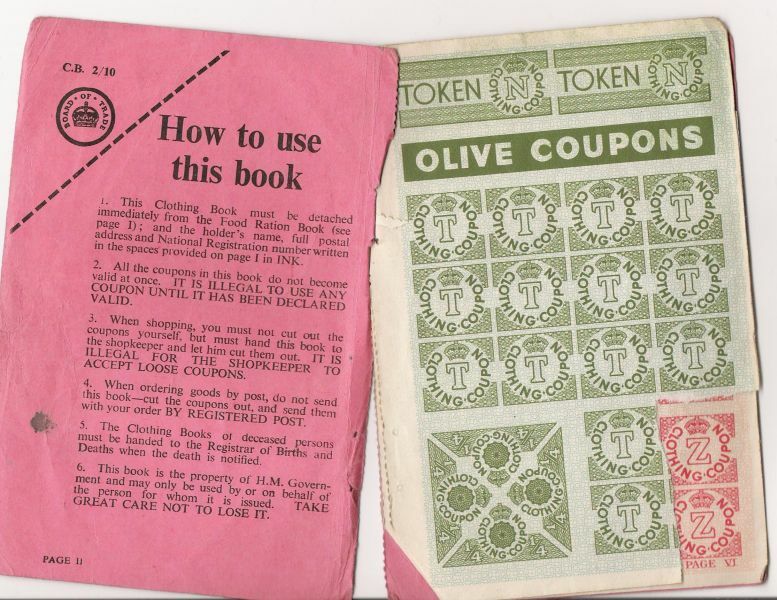 Some coupons the shopkeppers had to cut out of our ration books and others they just crossed out the week. They had a notice up in the shop of the egg allocation for that week too. Such memories. Yes, nostalgic but not always happy. At least we learnt the value of things which is a lesson that few will learn today. which is very sad June I think. Too much comes too easy for too many, and not appreciated at all. Hi June SO sorry that I have not called in but been run off my feet by various things to do with hubby. Fascinating reading all the old documents and 30/-shillings was a lot of money then. It could have been quite a chunk of your dads wage. Many neighbours used to help each other when I was a little girl in the 30s. If they knew someone was about to give birth there was always someone on hand to deliver it and to cut the cord. 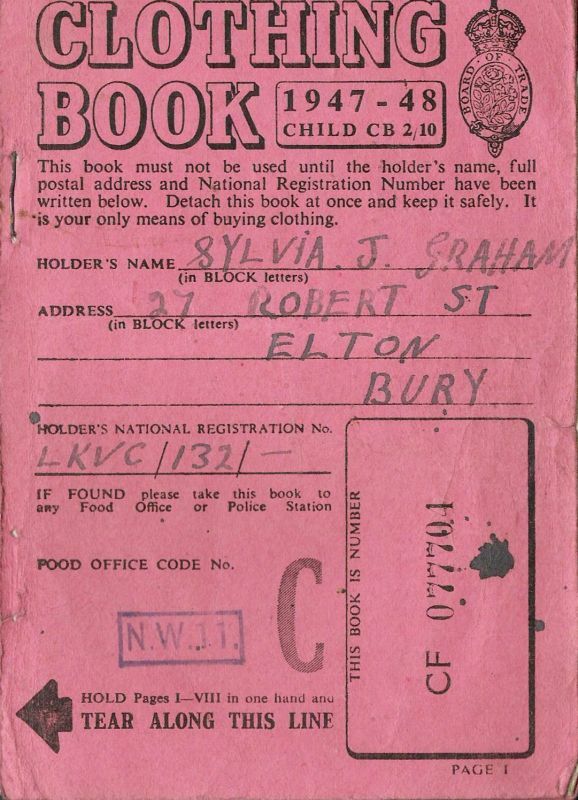 I delivered my niece in 1962. I had never done anything like that before and when my sister-in-law asked me what it was I answered "a baby". It was more shock than anything especially trying to wipe the bairns face and as luck would have it just as I was about to cut the cord the midwife appeared. 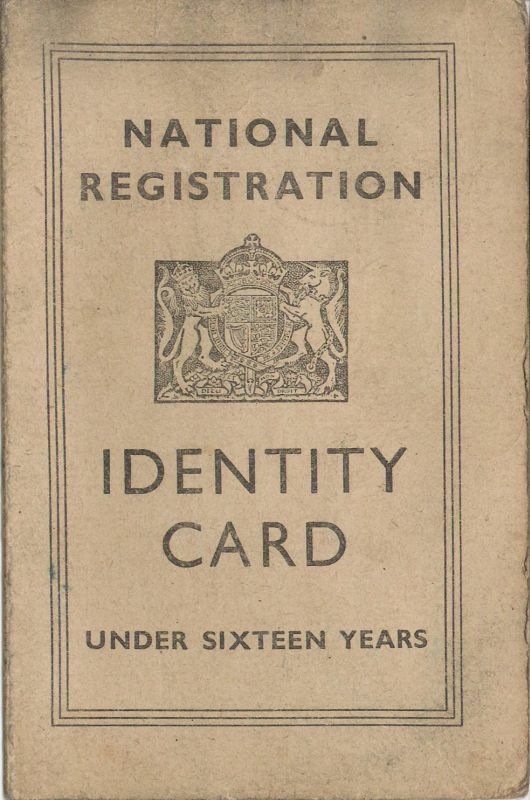 They did not pay a fee for them then because the N.H.S had started. Years ago the neighbours very often rallied round to wash a neighbour who had died and they used to put pennies on their eyelids to keep them closed as well as tying the jaw up. Talking about funerals this was my grandmothers bill below. I can remember her coffin being taken on a laudaulette with black horses pulling it and the direct family walking behind. I was one of them and got full marks for being SUCH a good little girl for keeping my head down. I never let on that it was because I had a new pair of patent shoes and was fascinated watching the sun catch them as I walked and could see it out of my lazy eye because a patch was put over my good one to make the lazy eye work. It didn't do a bit of good because its still the same. the carriage was similar to this that carried the coffin. That's very true Maisie. My grandma and my gt. aunt delivered babies and laid people out. Very different then. I came across a few bills that surprised me. My own wedding reception in 1966 was a pittance compared with the cost today. Hello Maisie. I see you popped in last Sunday so I hope you and hubby are managing alright. I know you have a supportive family so I'm sure you are being well cared for.